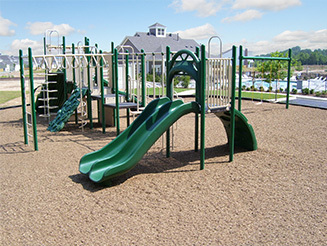 Mulch Outfitters is your one stop shop for the most popular types of certified playground safety surfacing and accessories. Save time by having Mulch Outfitters install the surfacing for you. Material can be shipped and installations can be scheduled within a matter of days. 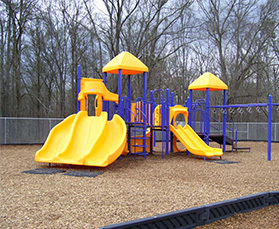 All new Mulch Outfitters playground surfacing installations meet or exceed strict safety requirements set by the CPSC, ASTM and IPEMA. 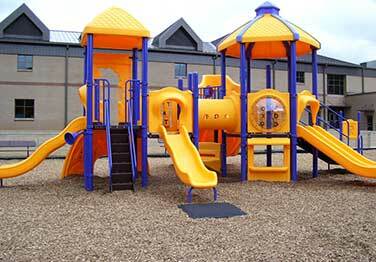 Mulch Outfitters provides safe, long-lasting playground surfaces that won't break the bank. 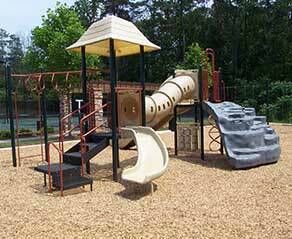 Mulch Outfitters manufactures, supplies and installs premium Engineered Wood Fiber (EWF) playground surfacing from reclaimed wood. Our surfacing looks exceptional and is considered one of the safest playground surfaces on the market for fall height attenuation. We also offer numerous playground accessories, including impact drainage pads. 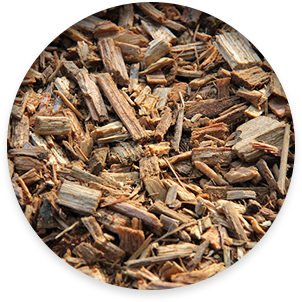 Mulch Outfitters supplies and installs loose-fill Engineered Wood Fiber surfacing and accessories. 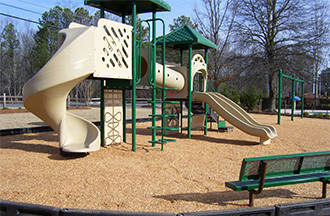 From brand new installation projects to maintenance of existing surfaces, Mulch Outfitters is the trusted supplier and installer of playground mulch throughout the Southeast. You can depend on us! Our products meet or exceed the highest industry standards as required by ADA, CPSC, ASTM and IPEMA and our installation crews provide professional, trouble-free installations that you can be proud of. We know how important it is for your playground surface to both provide a safe area for children to play and to remain visually appealing. Mulch Outfitters will work with you to recommend the perfect surfacing that gives you the look you want, fits your budget and meets your safety requirements. View examples of our completed installations on our photo gallery page. required by the ADA, CPSC, ASTM, and IPEMA. Safety is of the utmost importance at Mulch Outfitters. 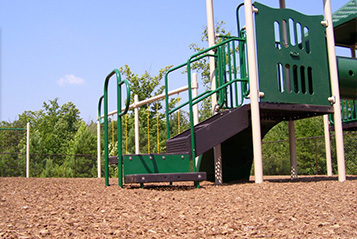 All of our new playground surfacing installations meet or exceed strict safety requirements set by the CPSC, ASTM and IPEMA. 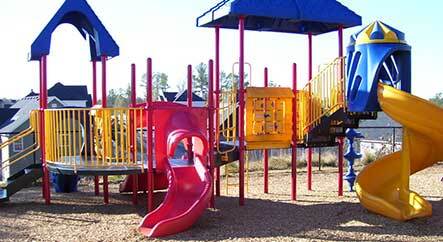 When properly installed, all of our playground surfaces also comply with all ADA requirements.